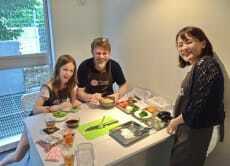 My mission is to introduce the real Japan to international tourists through home cooking. I believe that experiencing our daily lives is the best tourism attraction. One of the most valuable things about travelling is to experience something extraordinary and get away from routine/normal life. I think that living a local’s daily life would be extraordinary for modern tourists. 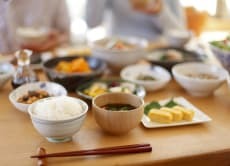 I chose home visits and home cooking to show our daily life and culture because these experiences are the best ways to discover the real Japan. I want you to know Japan on a deeper level, create special memories, and enjoy Japanese culture even after you return to your home country. Hisayo and Yusuke are amazing hosts. I learned a ton about how to cook from Hisayo, and Yusuke helped me figure out what I can and cannot eat at the super markets on my strict diet. Yusuke picked me up at the station and spoke great English, and helped me with my Japanese. I got to cook and eat a great meal and take home the recipes for later! I highly recommend Yusuke and Hisayo's cooking lesson! I had so much fun with Yusuke and Hisayo (and their adorable baby girl). Before meeting them, they kept in touch via e-mail, replying quickly and often, making sure I knew how to reach them. On the day Yusuke met me at the train station and escorted me to their home so I spent no time being lost, I also got to see a part of Tokyo I likely would not have visited otherwise. With the cooking experience itself, it felt like getting a slice of daily Japanese life, I made Katsu Curry and Mochi. They gave me a nice booklet with the recipe to take home with me so I could try myself. Their English is way above average, I know people living and working in London who speak less English, there was no moments where I felt a language barrier. The food itself turned out amazing, just typing about it now makes me want to get straight to cooking some up, it had a very 'homey' feel to it and I was incredibly proud of being able to make something so authentic. After the cooking Yusuke took me to a local supermarket to help me buy ingredients and then took me back to the train station and helped me find my way to my next destination. 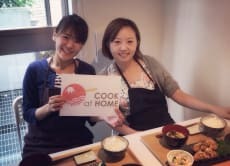 I really hope to try Cook at home again and have already began recommending it to all my friends! Hisayo is the perfect teacher... I admire that she is introducing us to traditional Japanese cooking that we can cook once we are back home. 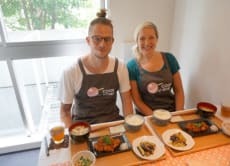 We used traditional Japanese ingredients and we enjoyed the experience and had a wonderful time. We are not the best cooks, but it didn't matter. We were asked if we had any special dietary requirements or foods we didn't like beforehand, so the cooking was catered to us individually. We went for a tour of a local supermarket which was fascinating.